Post your questions about John's 2015 Plain Spoken Tour in this thread! Hi Tony...any idea when the 2015 tour dates/locations will be announced? How excited am I allowed to be? Will there be any presales through John's website? How do I get the presale password for Oakland California Paramount Show July 25, 2015 ? Stoked to see Mellencamp coming back to Norfolk! Took my kids to the ballpark tour and they became instant fans! Can't wait to get tickets! Is John aware his set list should cover at least 90 mins and roughly 20 songs? The premium packages (double the price in the past) for real fans to sit close is disappointing considering years ago when being in the fan club got you close for no extra money (and backstage passes to boot). Honest Working Fans would like to see a full show at a fair price - and even the chance to see two! But lately the short sets and high prices for fan club seats have been disappointing. Of course I don't expect a response of substance from the fan club since it's fallen on deaf ears before. This appears to be about squeezing max dollar rather than about the fans anymore. A shame. I am planning on attending multiple shows. However, I don't need all the extra stuff that comes with a Diamond Pkg just to ensure I get in the first 10 rows....is there an alternative to getting the "good seats" without all the extras? Thanks! Can you imagine having to sit next to this guy. I agree entirely with you. Spent over 100.00 each night for a ticket recently and received 75 minutes and 14 songs. seen him many times and felt he mailed the shows in. I caution you not to make any assumptions about the 2015 tour based on the handfuls of casino shows from this Summer. Those are an entirely different thing with different requests/direction from the casinos than what goes on on a regular full Mellencamp headlining tour. While John has not revealed how he will structure his show on the new tour I think it's reasonable to assume that since the venues are very similar to the 2010-12 No Better Than This Tour that the show will be setup somewhat similar and the show length (which ranged from 95 to 110 minutes) will be similar. The ticket prices on the 2015 tour (including the Diamond package) are priced almost identically to the 2010-2012 tour. There are a limited number of Diamond package tickets available per show, they do not consume all of the best seats by any means. 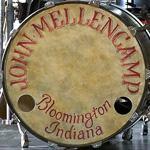 There will be tickets in the front rows in the Mellencamp.com presale (the fan club ended nearly 5 years ago) and also high quality tickets will be in the public on sale too. Change is part of the passing of time. Sorry that things are not exactly as they were 15 years ago, but that was 15 years ago. Sharon and I work very hard to offer John's die hard fans as many good tickets as we can with several different options. What type of seats will be available through the citi card pre-sale? Is it all seats or a some held out for citi?